The analysis of amino acids plays an important role not only in the food industry, but also in natural product and pharmaceutical fields. This system uses detection by post-column fluorescence derivatization, with o-phthalaldehyde (OPA) / N-acetylcysteine as the reaction reagent, to selectively and sensitivly quantitate the amino acids contained in samples with high levels of contaminants. 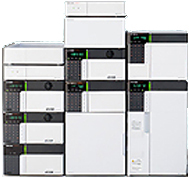 The Shimadzu Post-Column Amino Acid Analysis System enjoys a huge support among users with more than 100 installations across India. Selectively detects amino acids based on Shimadzu's highly acclaimed post-column reaction technology and high-sensitivity fluorescence detector. Determines amino acids with over ten times higher sensitivity than the ninhydrin method (UV detection), by using a derivatization method that provides a selective reaction with amino radicals in combination with fluorescence detection. Outstanding Reproducibility, as derivatization occurs after separation in the column, reactions are not affected by the sample matrix, resulting in exceptional precision of analyses. Easy to operate, since the eluent from the column is automatically derivatized by mixing it with the reaction reagent. This approach saves time and reduces manual labor. 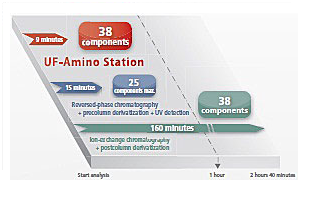 The UF-Amino Station overcomes the limitations of long analysis time typically associated with ion-exchange chromatography with post-column derivatization and the limited capability of compound analysis when using the reversed-phase HPLC with pre-column derivatization protocol. 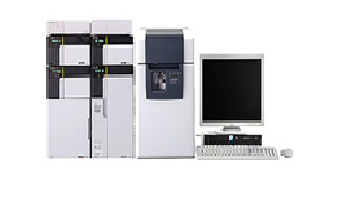 Jointly developed by Shimadzu and Ajinomoto Co., Inc., it features a special-purpose, fast analysis column and a LCMS-2020 mass spectrometer, which supports ultra-fast analysis speeds, to achieve the simultaneous analysis of 38 amino acid and amino acid-related components in just nine minutes. UF-Amino Station is an excellent tool for the analysis of food products, such as meat and fermented foods containing many impurity components, and for the biochemical analysis of culture fluid. The system permits the analysis of 38 amino acid-related components, such as anserine, citrulline, taurine, and GABA (γ-aminobutyric acid), in addition to the 20 major amino acid components.